It seems that mowing the lawn in the spare time can only be done with alcohol. 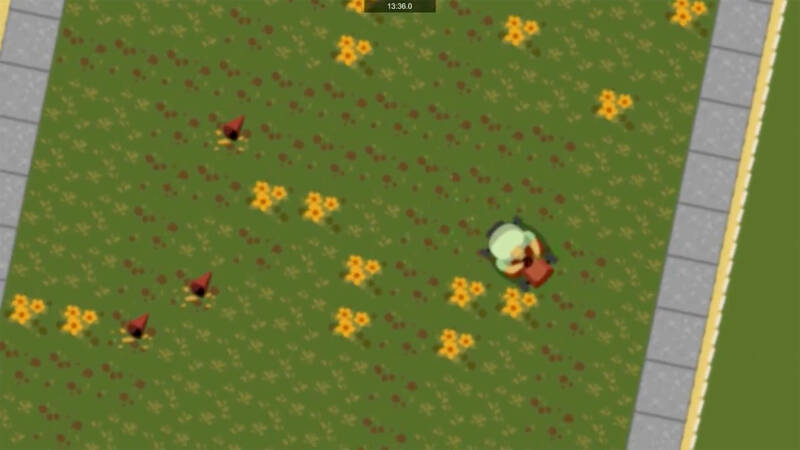 Too bad this influences the precision… The goal of this top down game is to mow as much lawn as possible, even if you lose the control. To achieve the highest possible scores as much lawn as possible most be mowed within 60 seconds. The controls of the player character however are getting weirder and weirder as the time progresses: Random debuffs like inverted controls, shaky camera or blurred view (post processing) are only a few hardships the player has to overcome in order to obtain a high score.